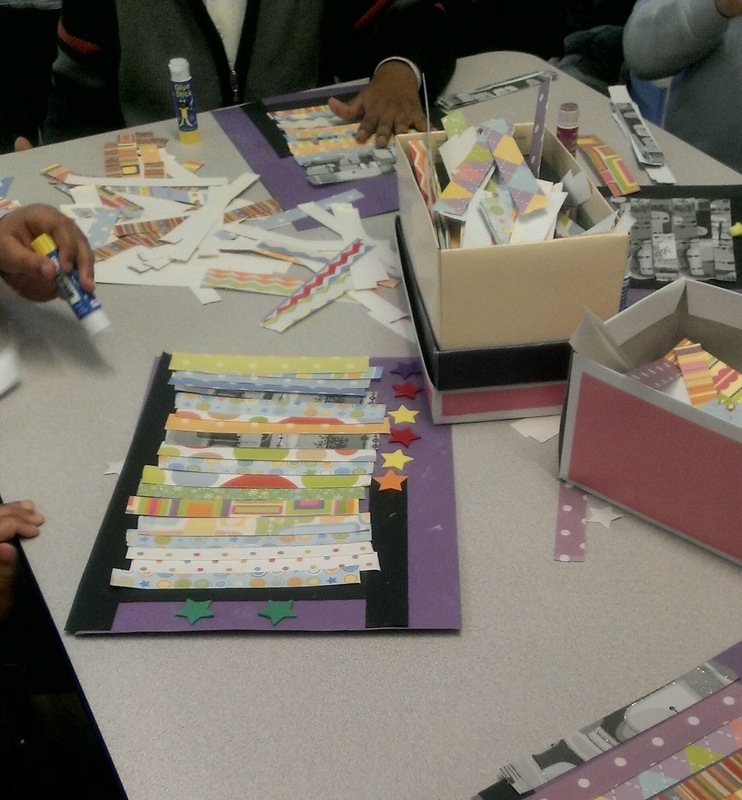 This week's activity was based on the book The Real Princess - A Mathemagical Tale. 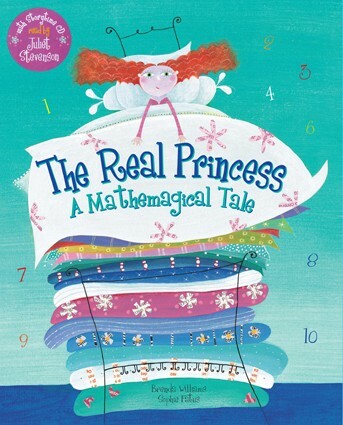 This is a story based on the old Princess and the Pea tale, but with a few math tricks thrown in! Primo, the eldest son of the King and Queen, has to find a real princess to marry so he can become king himself one day...but he needs a little help from the nine magical golden peas in his mother's counting house in order to find a REAL real princess! 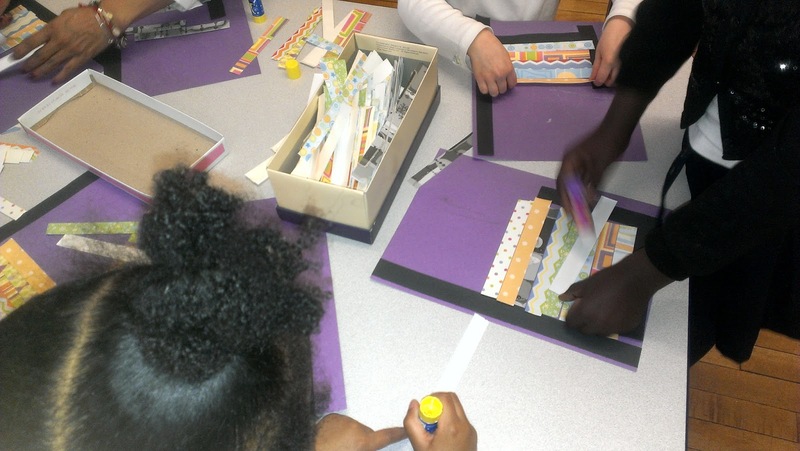 My inspiration for the craft to go with this story came once again from the Painted Paper blog, but I had to adapt the activity to be a) less messy than paint and b) appropriate for younger kids. 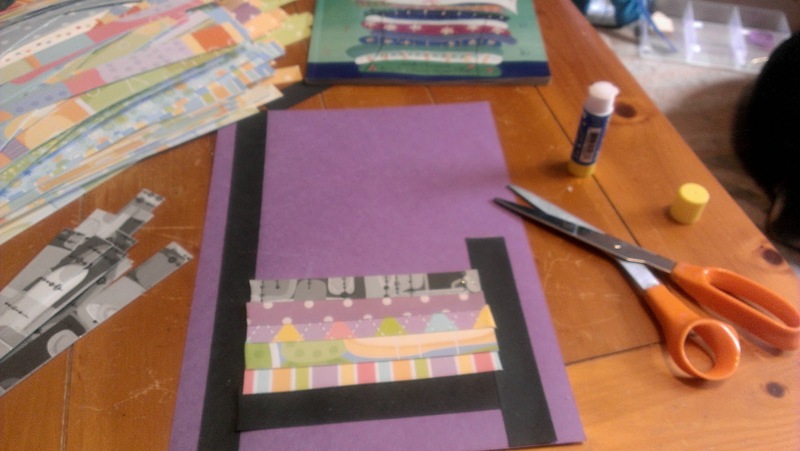 My original idea was to use strips of fabric that the kids could glue down, but then I found these great books of card stock for scrapbooking that had fantastic designs on them, perfect for creating the look of bedsheets and blankets, and they were on sale too so I snapped them right up for this project! 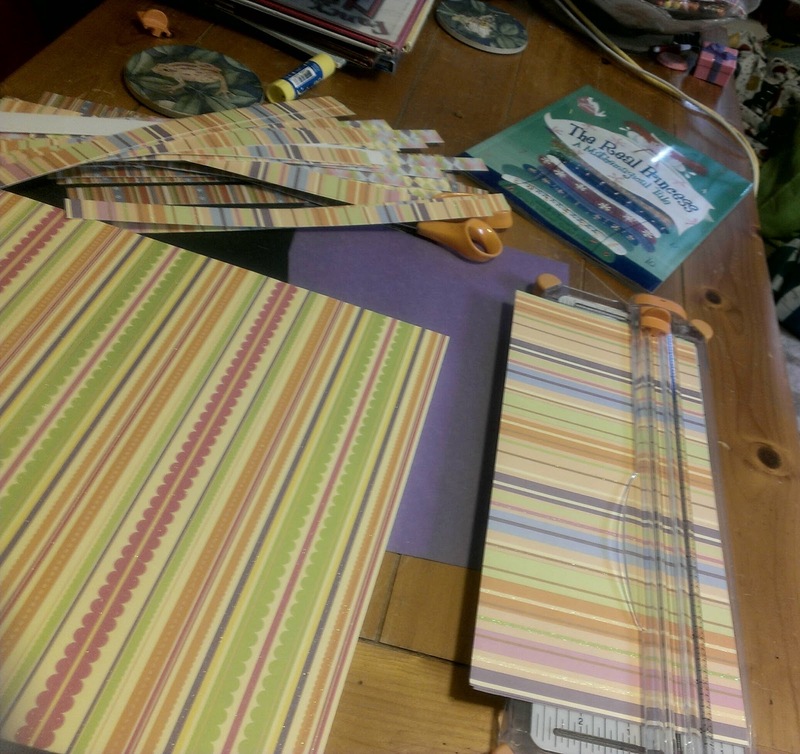 I used my paper cutter to create strips from the card stock, and then cut each strip in half. Then I cut strips of black construction paper to use as the headboard, footboard, and bottom of the bed, put some star stickers on the tops to make the bed a little more royal, and used a tiny yellow pom-pom for the golden pea. I put it all on a piece of purple construction paper, because of course a royal princess needs a purple room, right? In this story, the Real Princess feels the golden pea beneath nine mattresses and ten feather beds, so each bed we created needed 19 strips of card stock - which was just slightly higher than the counting skills of some the kids in this group, so the teacher and I had to keep counting their beds for them to see how many more strips they needed. 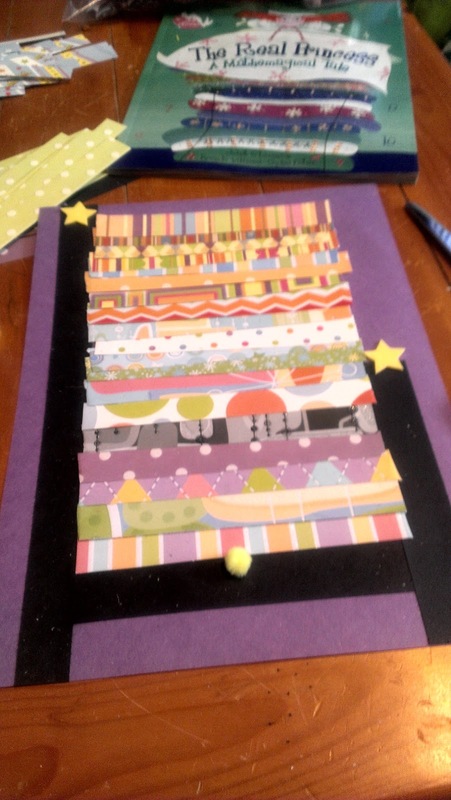 If you try this craft, let me know how it goes! Hi Liz! 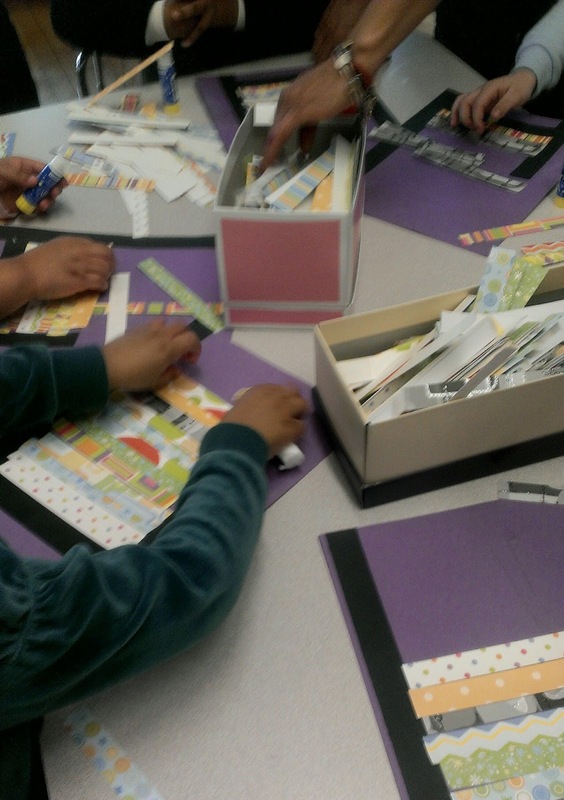 Reading through your story time book and craft ideas, I feel like we are kindred spirits! I am a new Barefoot Books Ambassador in Grand Rapids, MI. I have my Special Education degree, am now a home-educator of our two children (adopted from Guatemala and Colombia! ), and I did weekly story times at an independent children's store where I worked over the past two years part-time. I think what you are doing is great! Keep up the awesome work and thank you so much for sharing your ideas! Hi Stephanie, and welcome to the Ambassador community! I'm so glad to have another adoptive mom among our ranks. Good luck with your new business and let me know if you need any help!